SCROLL DOWN THIS PAGE FOR THE BEST DEALS AVAILABLE ON POINT WILSON DARTS! 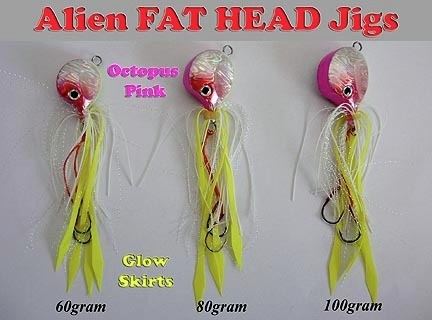 More great fishing products available at DartJigs.com, deepstinger.com, supersquids.com, squidlures.com, halibutfishingleaders.com, and ballbearingswivels.com. Click product pictures for larger image. SHIPPING: All orders ship by US mail. We accept Visa, Mastercard, and Discover as well as PayPal. When checking out online you may have to go through several screens before you get to the option to use your card. SECURE CHECK-OUT. Free shipping to USA orders over $12.00. For USA orders under $12.00 please scroll to the bottom of the page to add postage. Foreign orders will need to send additional payment for shipping. Rotator jigs attract fish with their spinning action. This 2 inch long rotator comes with J-hook and two bumper beads. 2 inch UV Chartreuse Buzz Bomb with orange tip. Comes with treble hook and bumper. 1oz green and yellow Point Wilson Dart Herring Jig. Comes with treble hook. 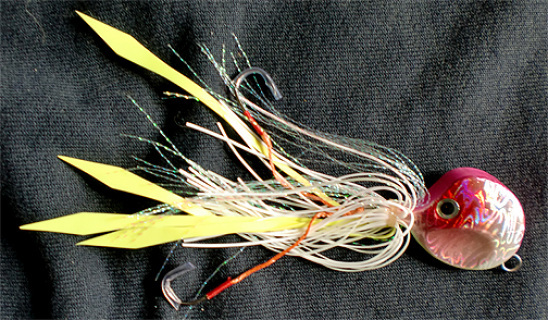 A great all-purpose jig for any fish that eats small bait fish. Cast from shore or in a boat. Quantities limited to stock on hand. Point Wilson Dart Anchovy with blue, white, and pink. Comes with treble hook. Great fish-attracting fluttering action. Closeout, quantities limited to stock on hand. 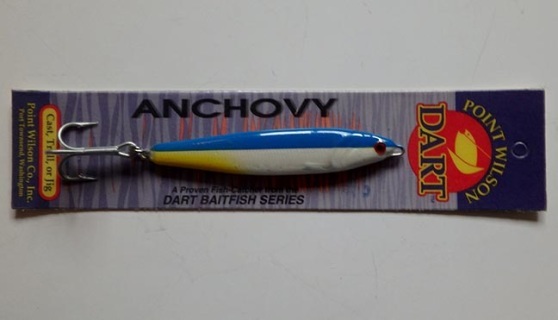 Point Wilson Dart Anchovy old style blue pearl with blue, white, and a touch of chartreuse. Comes with treble hook. Great fish-attracting fluttering action. Closeout, quantities limited to stock on hand. 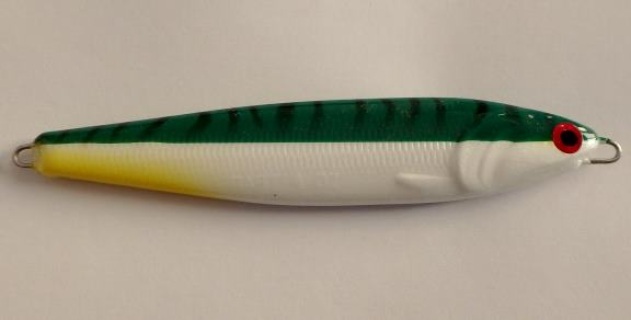 Point Wilson Dart Herring 2 1/4 ounces in green and gold color. 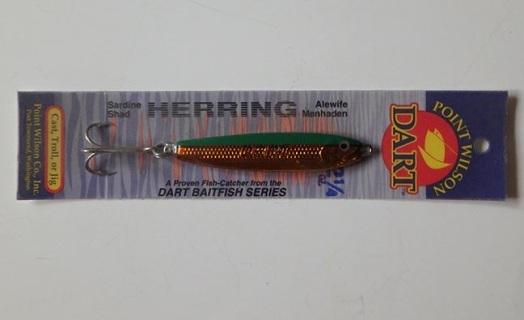 Herring darts are excellent all-purpose jigs with more action than candlefish and faster sinking than anchovies. Close-out special on these brightly colored yellow and orange Flame Yellow Point Wilson Dart candlefish. 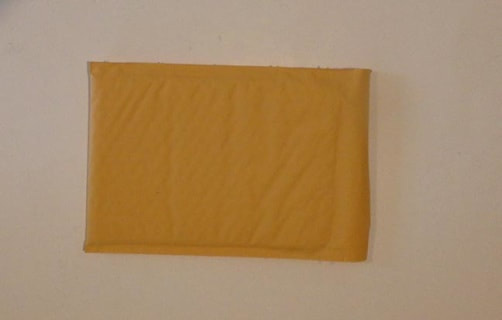 Packaged with treble hook. Quantities limited to stock on hand. Point Wilson Dart 3 oz Green & Gold Anchovy Jig. Lots of fish-attracting action. 4 ounce Point Wilson Dart anchovy in old style blue pearl with blue, white, and a hint of chartreuse. Great action jig. Close-out, quantities limited to stock on hand. 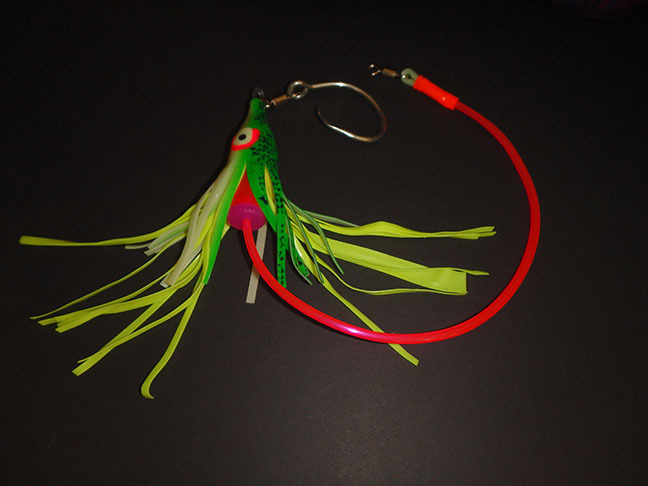 Add your own hook and split ring to customize these loose jigs to your own preference. Quantities limited to stock on hand. Unpackaged 4 oz Green Mackerel Point Wilson Dart Anchovy,loose jig, no hook or ring. Old style hand painted color. Lots of action. Excellent for yellowtail, yellowfin, and albacore tuna, dorado, ling cod, white sea bass, roosterfish, barracuda, and many other baitfish-eating fish species. Close-out, quantities limited to stock on hand. 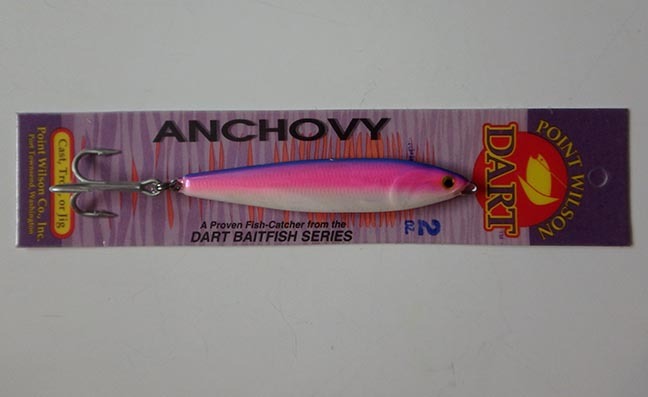 4 oz Point Wilson Dart anchovy fishing jig. Great action, great jig. Green is one of the last colors of the light spectrum to disappear down the water column so fish see these jigs deeper down. Jig only, no hook or split ring. Pick the style hook you want to go with these jigs. Choose from the standard treble hook or j-hook. Quantities of Point Wilson Darts limited to stock on hand. _Need a smaller jig? Try this half ounce white deep stinger with treble hook. Catch coho salmon, California halibut, trout, rockfish, smallmouth bass, dolly varden, and many other species of fish. Fish love white jigs. 1/2 oz white deep stinger with siwash hook. 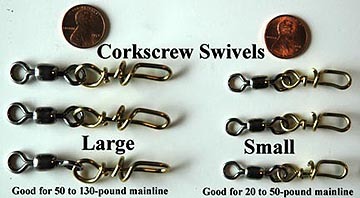 Great for areas where treble hooks are not allowed, shallow water, light currents, and fish that eat small baitfish. 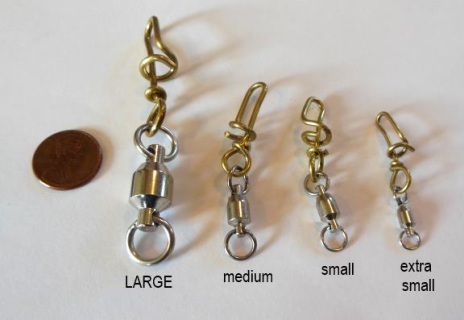 Need a smaller jig? Try this 1/2 oz nickel deep stinger with treble hook. Excellent coho jig. Catch trout, Dolly Varden, flounder, rock fish, smallmouth bass, and many other species. 2 oz Deep Stinger fishing jig in Flo Glo green color with welded nose ring and treble hook. 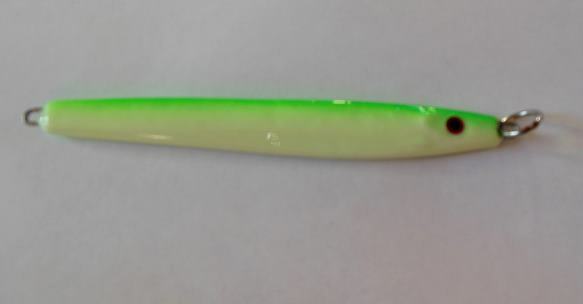 3 oz Deep Stinger in FLO GLO Green color with treble hook. This jig sinks with fish-attracting fluttering action. 1/2 oz Nickel Deep Stinger fishing jig. 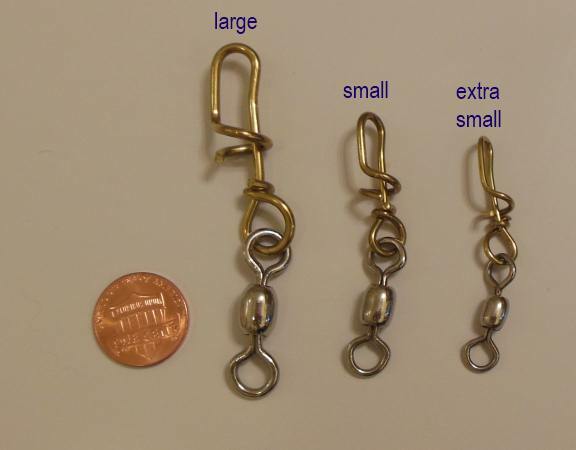 Same 1/2 oz stinger, but with siwash hook. Nickel color looks like real fish scales. Cast off any boat, even kayaks. Great for beach fishing or any lakeshore, river, or stream. 2 oz Deep Stinger fishing jig in Flo Glo green color with welded nose ring and J-Hook. 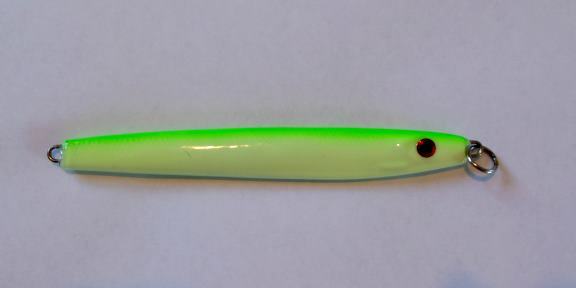 3 oz Deep Stinger in custom FLO GLO Green color with welded nose ring and J-hook. This jig sinks with fish-attracting fluttering action. 4 oz green pearl anchovy Point Wilson Dart with treble hook. Excellent for salmon, tuna, and many other fish species. 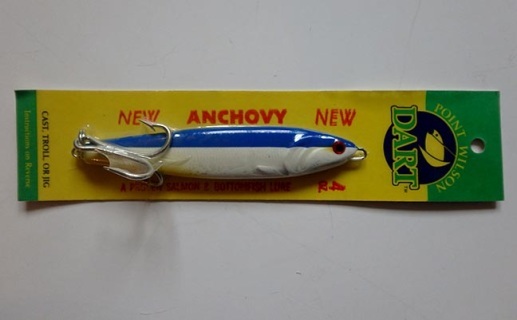 4 oz green pearl Point Wilson Dart anchovy jig with j-hook. Anchovy jigs sink with fish-attracting fluttering action. 4 oz old style hand painted green mackerel anchovy jig with treble hook. Sinks with great fish-attracting action. 4 oz old style hand painted green mackerel anchovy jig with J-hook. Sinks with great fish-attracting action. Need a bigger jig? Try this 10 oz nickel deep stinger with treble hook. Catch halibut, ling cod, rock fish and any other large denizens of the deep. 10 oz nickel deep stinger. Same 10 oz nickel deep stinger, but with j-hook. Great for heavy currents, deep water, and big fish. Need a bigger jig? Try this white 10 oz deep stinger with treble hook. Similar to the candlefish dart, but bigger, and with more fluttering action. Catch trophy halibut, ling cod, rockfish and other large deep water fish. 10 oz white deep stinger. Same 10 oz white stinger, but with j-hook. 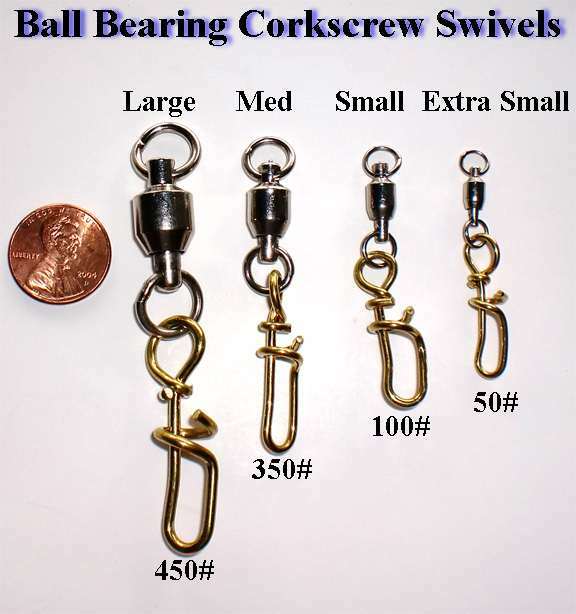 Great for deep water, heavy currents, and big fish. ROTATOR JIGS! Works better than a buzz bomb. Four colors, two sizes. Check them out at www.deepstinger.com. The hottest thing for coho fishing. A custom mix of things fish like to eat makes lures smell irresistibly delicious. 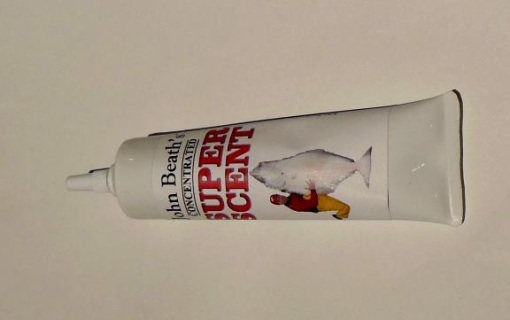 Super scent paste. 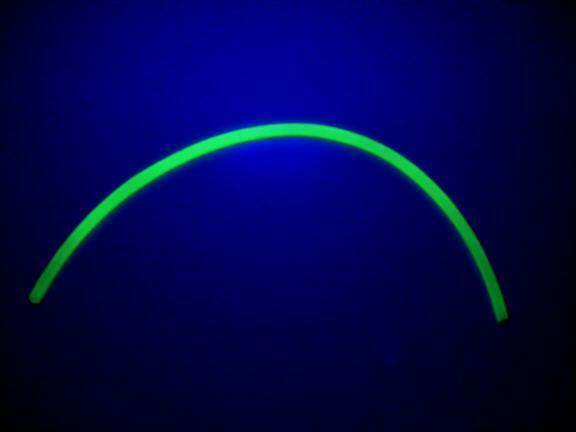 Attract more fish with these glow beads on your line! Each bead measures just over half an inch long. 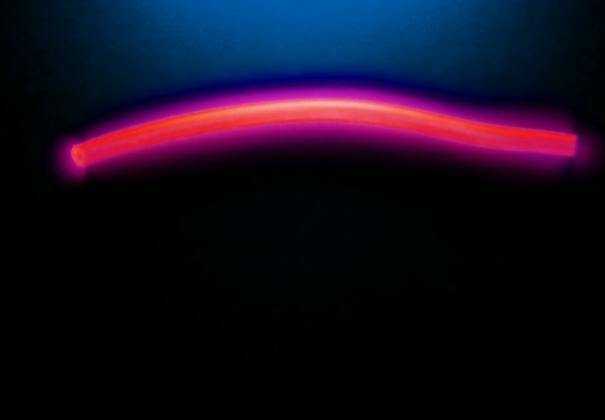 Use these brightly glowing beads for a variety of different things. The inside diameter of the hole is large enough for monofilament line up to #600 pound test or halibut cord. Attract more fish with these glow beads on your line! Each bead measures 9/16 inch long. Use these brightly glowing beads for a variety of different things. Extra large inside diameter of the hole is large enough for thick heavy lines or leaders or tuna cord. 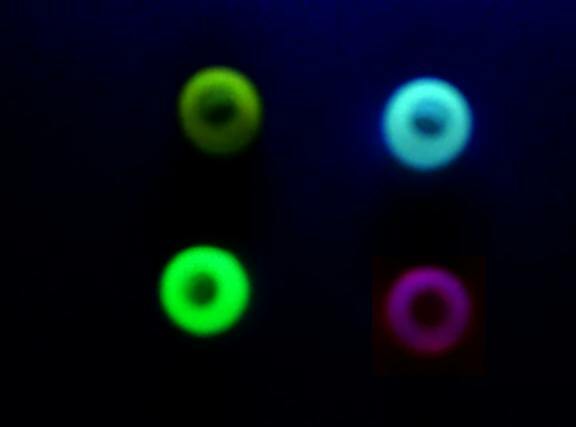 Package of 12 small glow beads in green, orange, pink, and blue. Large hole diameter fits easily over large line. 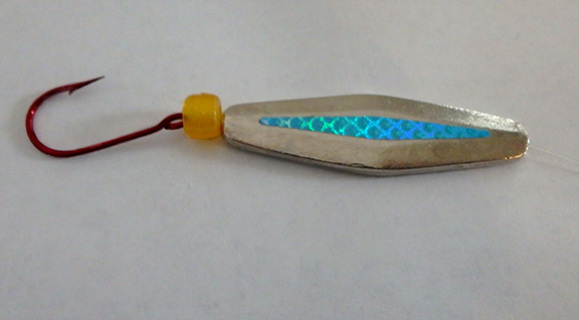 Help the fish find your lure. 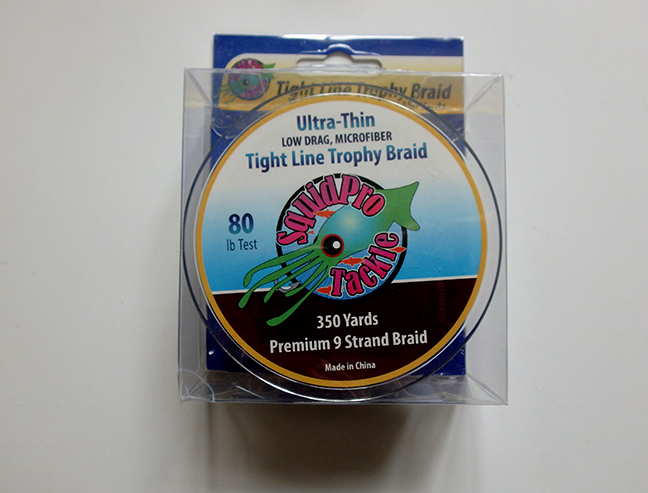 ​350 yards of 9-strand braid low drag microfiber premium 80-pound test line. Excellent abrasion resistance at an affordable price. Great fishing lures for catching pink salmon. Pink rotators, pink DoubleDown, hot pink King Kandy, pink glow squid, pink floochies, and humpy special red or pink color Point Wilson Dart jigs. Pink Salmon love this fishing lure colored pink or red specially for catching pink salmon. This fast-sinking candlfish jig sinks right down to where the fish are. 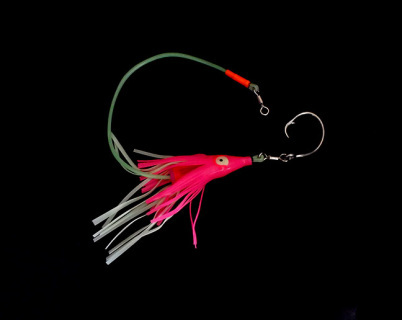 Pink salmon love this special humpy fishing jig. 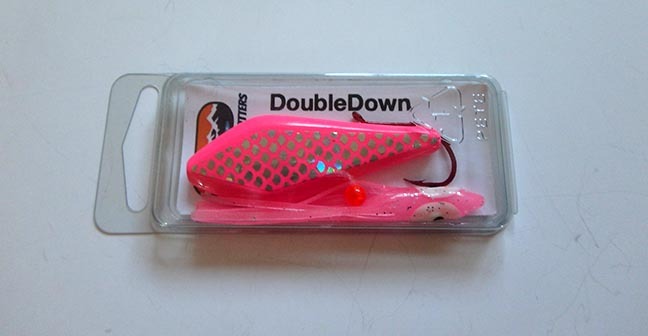 Pink salmon love this special humpy fishing lure. The herring jig has lots of fish-attracting action. 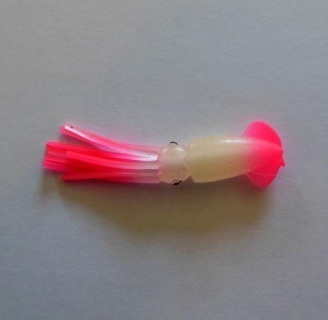 Point Wilson King Kandy candlefish lure in hot pink color. 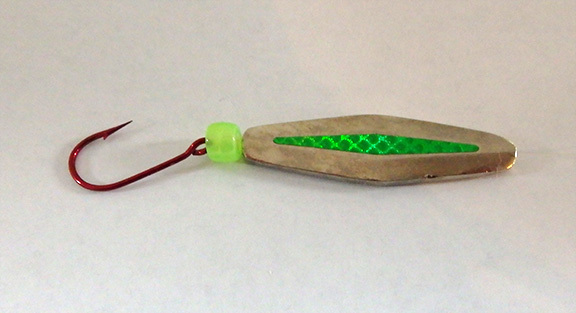 This high-action spinning lure comes fully rigged with leader, swivel, and hook. Fantastic humpy lure. Humpies love this pink rotator. It weighs half an ounce and works just like a buzz-bomb. Coho love it too! Pink salmon love pink and this humpy-catching lure is all about pink. It weighs just over an ounce and works like a buzz-bomb. Coho love it too! 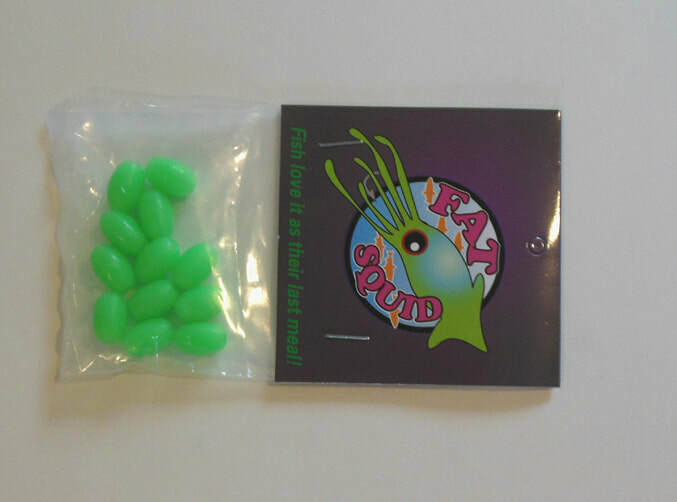 Unrigged 3 inch long squids in package of 3. Glow with pink. 3-pack power pink floochies. UV Pink hoochies with silver sparkle hard head fly insert and glow eyes. 5 inches long. Alien Fat-Head jigs have two J-Hooks, weighted heads, and ribbons and sparkles to attract fish. 2 oz jig with two hooks, attracts all kinds of fish world-wide. 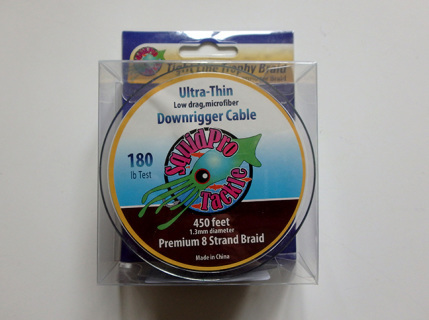 Great for slow jigging in calm water. 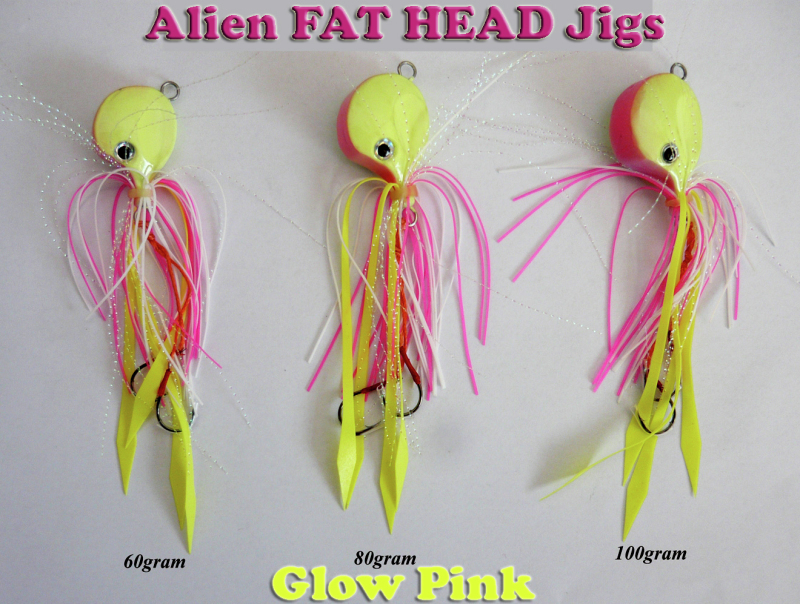 2 3/4 oz jig with glow head and pink and sparkly tentacles. Two hooks for twice the fish-catching ability. Slow jigging action catches everything. Fish everywhere love this 3 1/2 oz jig with glow head. Multiple pink, sparkly and glow tentacles and two hooks. 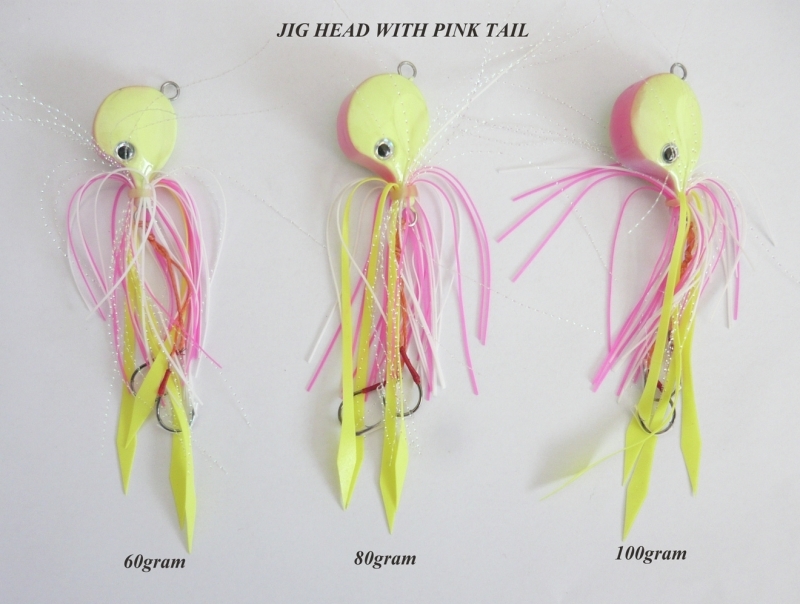 2 oz jig with pink and chrome head, two hooks and multiple glow, white, and sparkly tentacles to catch the eye of any fish around. Great slow-jigging action catches everything including flounder, trout, tuna, salmon, cod, dorado, and many more. 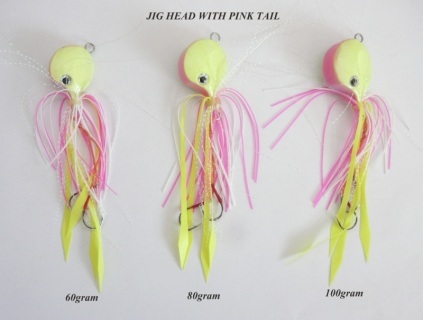 Wonderful fish-catching 2 3/4 oz jig with pink and chrome head, two hooks and multiple glow, white, and sparkly tentacles. Excellent slow-jigging action catches many species of fish in calm to mild waters. 3 1/2 oz jig with glow tail and two hooks. Use for slow jigging in calm to mild water. Catches everything from flounder to trout to tuna and many more species everywhere. If your merchandise total is under the $12.00 minimum order please add postage. We can't ship orders under $12.00 without postage added. 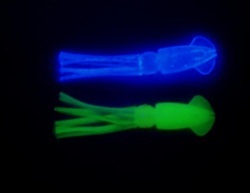 Pictured: UV and Glow mini squiddy squids. 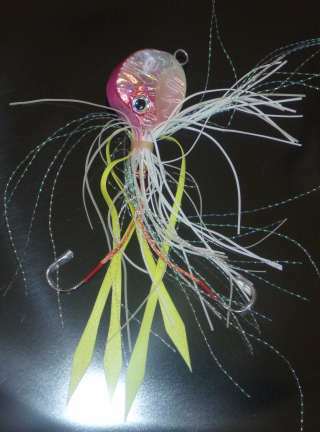 You can find more excellent fishing products at deepstinger.com, squidlures.com, halibutfishing leaders.com, and dartjigs.com.